This gorgeous tan salon with InfraRed Body Wrap Spa Room and Airbrush Studio has 5 state of the art Ergoline beds and a medium pressure stand up unit with a dressing area. Airbrush tanning is offered in the private Airbrush Studio, with technicians applying the customized tan with the G2 Laser Hand-held Airbrush system. In addition, the facility offers clients InfraRed Body Wrap Services from its beautifully decorated spa room. The salon is very elegantly decorated with travertine floors, and comes compete with an oversize bathroom and storage area. In addition, management has implemented a highly successfully EFT (electronic fund transfer) program to increase profits going forward, and help stabilized revenues going forward. Location and Facilities: This 1,250 square foot salon is located in a busy strip mall which also houses a high traffic fitness center, as well as a plethora of complimentary businesses. The facility leases for $3,365 per month including CAM charges on a secure lease, with a new lease, term and potential option to be negotiated in the sale. All of the equipment will be included in the sale. 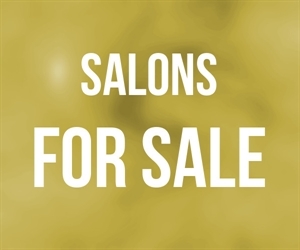 Market Information and Position: This salon boasts a high-end client base but only offers a minimum of day spa services, and does not offer a spray booth. A new owner may seek to explore the addition of complimentary esthetician offerings, a spray tan booth, aggressive marketing techniques, and potentially engaging in additional partnerships with nearby businesses. The customized airbrush offering still has fantastic growth potential (particularly with the addition of another airbrush technician), as does the body wrap service which commands $65 per session (such revenues are not reflected in the financials, as the service has just been implemented. Competition in Southern Orange County is naturally considered medium to high, however, this facility occupies an ideal location with tremendous freeway access and plenty of parking. Seller will carry with 50% down.